Dramatic and spectacular, the breathtaking 11.5 Ft. Cantilevered Umbrella from Leisure Select will hang over your outdoor area, providing cool shade during the dog days of summer. Hanging umbrellas are exciting patio accessories, granting a striking appearance and incredible functionality. 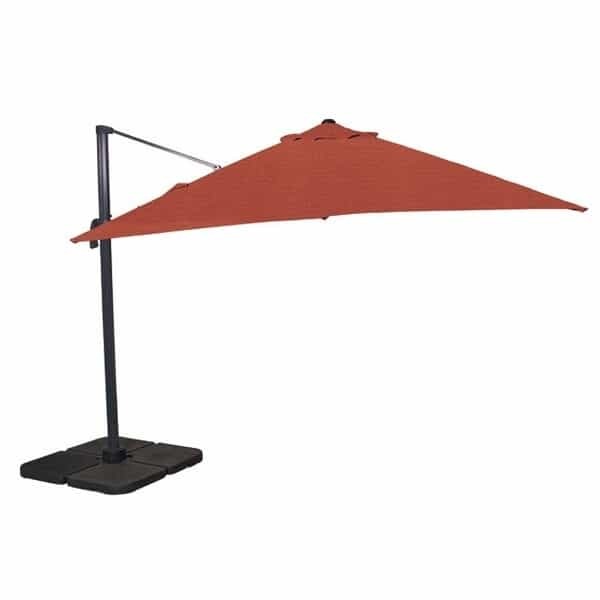 Most people haven't seen an umbrella like this model, which sits to the side of your outdoor dining area or outdoor living room. The 95 square feet of coverage ensures a large dining table or large deep seating set will be covered. Match your new umbrella to existing patio furniture cushion fabric by choosing the canopy fabric in the drop down menu to the right of the main image found on this page (Henna, Heather Beige or Canvas Teak).